There is no doubt that the Byzantines have bequeathed us a culturally rich, and, at times, mysterious, legacy. Emperors came and went, but tradition and culture were passed down, leaving aspects of Byzantine history which yet linger, in legend or Eastern Orthodoxy, even to this day. 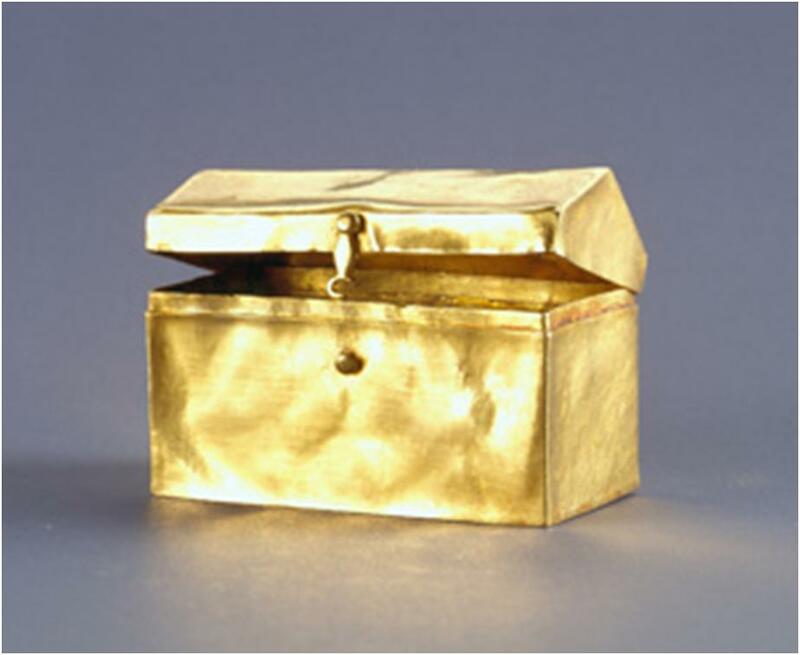 Box (Reliquary), Byzantine Possibly Macedonia, c. 500. Courtesy of The Menil Collection, Houston. Photo: Paul Hester. Legend, you may ask? Certainly! Greek fire: a Byzantine invention (despite the misnomer). What proved to be a fearful weapon against their enemies also served as hazardous for Byzantium’s own forces, so it was eventually disregarded, and the secrets of its alchemy have been lost to us. Another secret which has been lost to us is Ivan the Terrible’s Lost Library. This may sound dull and academic, or potentially unfeasible (after all, how do you lose a library?! ), but it is anything but! Just before Constantinople’s invasion by the Ottoman Empire in the 15th century, the Byzantine treasures were packed up and sent to Moscow with the ruler of Constantinople’s niece (who also happened to be married to the man who would become known as Ivan the Great). Anyway, long story short, Ivan, fearing retribution from Rome for not returning the vast library of books which were incredibly rare and valuable, hid this library in a carefully constructed vault under the city of Moscow. Later on, when his son (also Ivan, but this one was “the Terrible”) was doing his dark and dirty deeds (namely, torturing and executing anybody whom he didn’t like), he arranged for a great network of tunnels to be built underneath the city where this could all be done. Some overzealous police work later, and all the people who knew about the library’s location were dead. That just left our Ivan alone with the knowledge of the location. And then, he was gone – an unexpected death one day, as he had a stroke during a chess game. Ivan, had, terribly, taken the secret of the library to his grave. Just as terribly, because of his catacombs of tunnels below the city, nobody has ever been able to find it. Should you ever be exploring under the streets of Moscow however, and happen upon a dark and musty room full of old books, you may just end up hitting the jackpot. Because, my dear readers, that room full of old books will easily be worth, say, about a billion dollars. Or more! 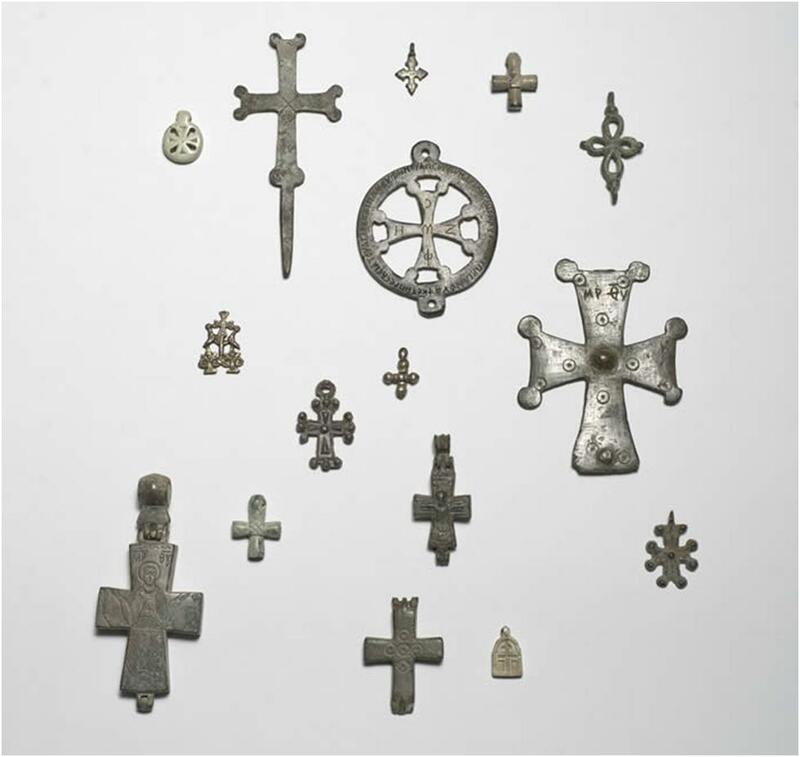 Crosses, Byzantine. Bronze and soapstone, heights 2.5–10.2 cm. The Menil Collection, Houston, is currently also looking at the remnants of Byzantium in our culture today. However, the exhibition Byzantine Things in the World focuses on the art and objects that have been gathered together from these ancient times; tangible and visible, rather than the legends which we may only hear about. This is the perfect exhibition to introduce you to the ancient Byzantine Empire, and to advance your knowledge of the secrets which may be unlocked. Who knows, maybe you could be the one to find the Lost Library! If Houston is a bit of a stretch, never fear – pick up a copy of Charles Bayet’s Byzantine Art!